Top Spanish Wine Cork Talk Influencers 2018! Why, oh why do I annually set myself these difficult tasks? Christmas Day Wines, the Cork Talk Top Ten, Recommended Christmas Presents, Cork Talk Highlights – and more! Well, on the one hand it’s enjoyable to review the year and use the 52 Cork Talks I’ve written as research for the above; nevertheless it’s also a veritable agony to include some, whilst leaving out others! Plus, there are many other Spanish Wine influencers, about whom I’ve read, but whose wines I’ve yet to taste and whose stories I’ve yet to write for Cork Talk. So, here I am again writing a list, of people, knowing that, because of space restrictions, I will have to omit some of the eponymous Movers and Shakers, who really should be included! I make no apologies for mentioning once again here in Cork Talk, Pepe Mendoza, who took over the winemaking reigns of the family owned Bodegas Enrique Mendoza several years ago, whose HQ is, believe it or not, but a few of kilometres from Benidorm. When Pepe and other family members succeeded their father, Enrique, along , he continued with the wines that had established the winery as one of the best in Spain. But, that wasn’t enough for the man who, in the space of just two years, was voted the best winemaker in Valencia and then the best young winemaker in Spain! Pepe added to the portfolio, including two further flagship wines, Estrecho and Las Quebradas, both of which have appeared in Cork Talk, and continue to do so in my cellar! Well, he’s at it again, and that’s why he can certainly be called a Mover and Shaker in the Spanish Wine World! Casa Agricóla is Pepe’s personal project: where only Mediterranean organically grown grape varieties are used; where the limited production is sustainable; where there is total respect for the soils and environment; and where there is as little intervention as possible I don’t need to, as I’ve tasted his first three wines in this range, but I wish him the very best of luck in his new enterprise! Regular readers will also have seen mention of Sarah Jane Evans MW more than once in Cork Talk. An award-winning wine writer, journalist and speaker at conferences worldwide, Sarah Jane qualified as an MW in 2006, and was presented with an award for the highest mark in the theory section of this exacting exam, and was subsequently appointed Chairman of the Institute of Masters of Wine! With regard to her specialist subject, Spanish Wine, Sarah Jane Evans was made a member of the exceedingly prestigious Gran Orden de Caballeros de Vino in 2010, with a number of similarly impressive appointments to various Denominaciónes de Origen throughout Spain. Thus, she is already established as another major influencer, but that’s not all! 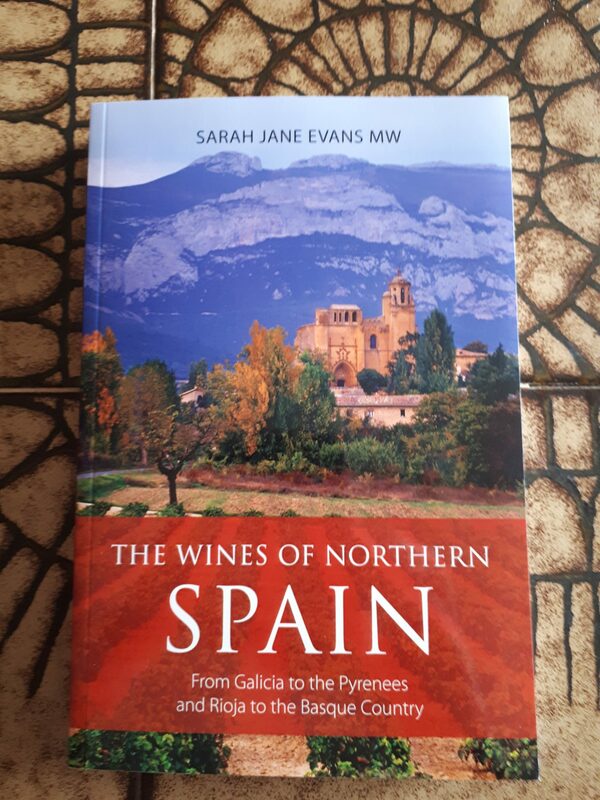 Her recently published book, The Wines of Northern Spain, has been given glowing reviews by expert and novice alike and with, we understand a sequel (perhaps to be titled The Wines of Southern Spain?) in the offing, there can be no doubt about her eligibility for this list! Victor de la Serna is the person I go to first when I need some information about Spanish Wine. Described, accurately, by Wikipedia as a journalist and writer, Victor is in fact so much more! A winemaker himself (award winning and Parker+ high pointer, Finca Sandoval, DO Manchuela) he is co-founder of the prestigious Grandes Pagos de España. It’s really helpful to have someone like Victor readily available, as he always is, to answer any questions I have about Spanish wines and the Spanish Wine Scene in general. Victor uses Twitter often and I always receive notifications when he has something to say. He is one of the best respected Spanish wine commentators, and as such, a Mover and Shaker! I’ve been following Andrew Halliwell on Twitter ever since we were in contact about a wine project on which he was working in DO Terra Alta. Andrew is a consultant winemaker with fingers in (not literally!) a few bodega pies here in Spain. Having tasted the wines which he helped make with owner, Andy McLeod, at Celler Alimara it became instantly clear to me that here is a guy who knows how to make wine! Andrew travels around Spain consulting, and learning too, I’m often in contact with him, he always has a view on whatever aspect of Spanish wines I’m considering for Cork Talk, and he’s thus a valuable influencer! I also came to know and follow Fintan Kerr through comments he and I made via Twitter – it’s an excellent resource for me, and I like to think I make a contribution too! Fintan qualified with honours in the Wines and Spirits Educational Trust (WSET) Diploma and is now on the long, arduous and very expensive road to Master of Wine status. I’m sure he’ll make it! Fintan’s all round wine knowledge, experience and expertise is already excellent, but he keeps studying. Living in Barcelona he certainly contributes to the Spanish wine scene, as well as that of world wines! Author ColinPosted on February 17, 2019 February 17, 2019 Categories ArticlesTags Andrew Halliwell, Cork Talk, Fintan Kerr, Pepe Mendoza, Sarah Jane Evans MW, Spanish Wine; Costa News SL, Victor de la SernaLeave a comment on Top Spanish Wine Cork Talk Influencers 2018!